Hiya crafty peeps! Wow, it's sure been busy on this little blog of mine- lots of fun stuff happening over at Some Odd Girl huh? But guess what- there's even more! I know, take a second and process it, but Kristy also released a new digi image and some cut files this week too (I swear I don't know how she does it!). So I wanted to make sure you got a little glimpse of Bubbles Mermaid, the new digi, so you could go grab her up for yourself because she's adorable! So pop on by the shop and don't forget to take a look at the new cut files too- they are perfect for summer. Thanks for stopping by to visit me- and for all those who are celebrating this weekend- Happy Mother's Day! Looove your color combo, Katie!!! so perfect!! Great shaped card!! Oh Katie, this card is gorgeous!!! 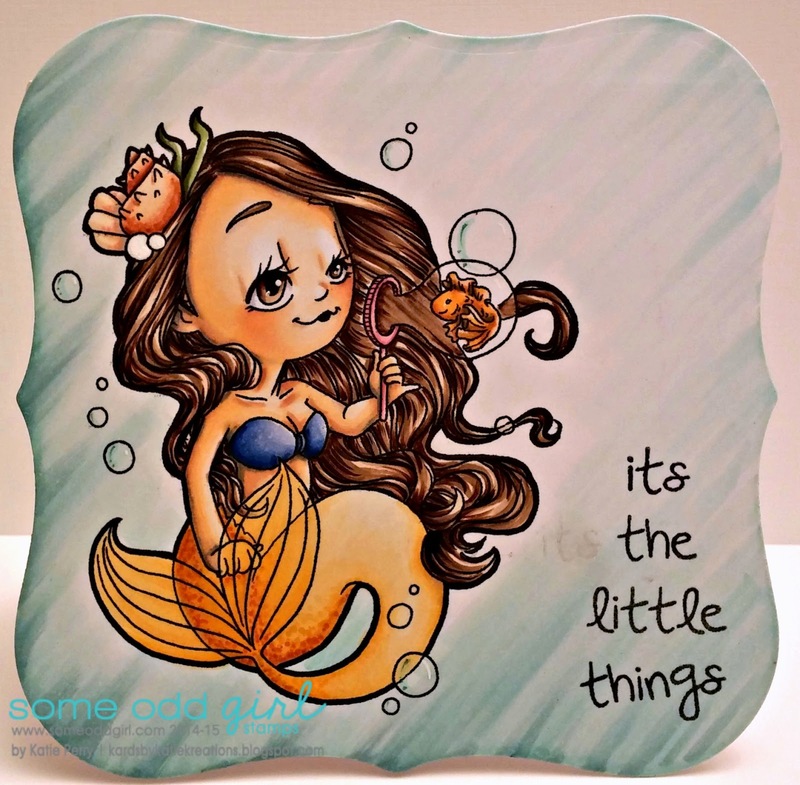 Such a sweet little mermaid and so beautifully coloured - love the watery background!